SAP BusinessObjects Business Intelligence 4.2 suite is a complete set of tools for transforming your data into functional information and bringing it to the users. 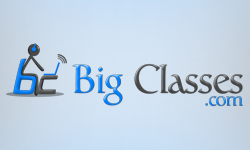 The collection comprises tools for..
BigClasses offers SAP BO online training with all its new features on a real-time basis by very experienced and leading consultant. Some of the new features mention below Web Intelligence..
SAP BO is an enterprise which provides Business Intelligence for the companies. There are several institutes providing SAP BO training. In BigClasses you will find outstanding SAP BO online training..
BigClasses offers SAP BO online training, which provides flexible system management for an organization BI standard. It permits the administrators to deploy confidently and standardize their Business Intelligence implementations on..
What is BO? Business Objects is a combined query, reporting and analysis solution for business experts which allow them to access the data in their corporate databases directly from their..